​The ​Alliance of American Football, abbreviated as the AAF, looks like an excellent idea. With eight teams in big cities, former ​NFL players in uniform and tons of NFL legends on the sidelines, the league could one day end up as a minor league to the NFL or a successful springtime alternative. After all this good PR heading up to their season-opener tomorrow, they were just slapped with this unfortunate situation. 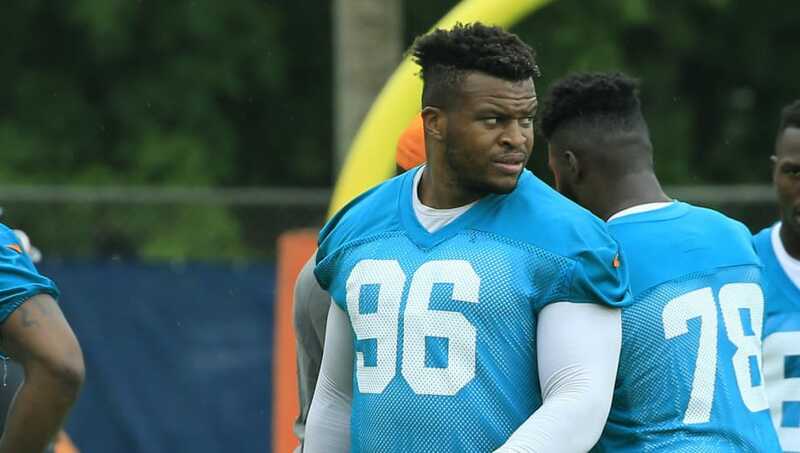 Birmingham Iron defensive tackle Lawrence Okoye, who famously debuted for the ​San Francisco 49ers in 2013, was one of 13 people arrested in a prostitution sting. Okoye has been married for six years. ​​​​Okoye hails from England, even competing for the country during the 2012 London Olympics in the discus. Despite having never played American football, the 4.78 40-yard dash and 36-inch vertical jump he recorded at just over 300 pounds got NFL teams interested. In 2013, the 49ers bit, and Okoye played on their practice squad for two seasons before moving around as a camp body for the next five years. ​​Okoye was a projected starter for the Iron, who will make their home debut on Sunday against the Memphis Express. ​​While this stinks for the AAF and the Iron, Okoye needs to get his personal life back on track before he considers a return to football.